661 pages | 318 B/W Illus. 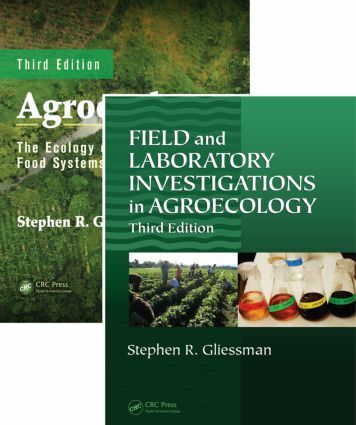 Stephen Gliessman's complementary volumes, Agroecology: The Ecology of Sustainable Food Systems, Third Edition and Field and Laboratory Investigations in Agroecology, Third Edition are now available together for one low price. Completely revised, updated, and reworked, the third edition of Agroecology presents new data, material, case studies, and options, as well as more emphasis on topics such as the values, beliefs, and ethics of sustainable food systems. The new edition of Field and Laboratory Investigations in Agroecology facilitates hands-on, experimental learning that involves close observation, creative interpretation, and constant questioning of findings.